How does SGC know who is incoming before the stargate connects? General Hammond: There's no one scheduled to come back for 24 hours, who is it? 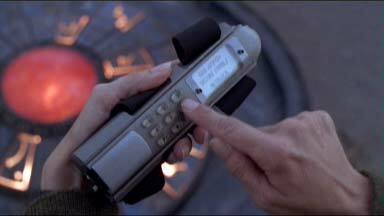 Walter Harriman: It's SG-1's remote access code, Sir. This occurs more frequently much later in the series but I always passed that off as Earth's military technology having improved over the duration of the show, however this is really early on and they haven't gained anything like that technology by this point. There was a similar question posted on Science Fiction & Fantasy. Please note that there might be some spoilers in the question and/or the answer. The dialing in itself may carry some additional information - in this case the SG team codes. It's an error in editing of the episodes. Not the answer you're looking for? Browse other questions tagged stargate stargate-sg1 . What exactly is the stuff in the middle of the Stargate? Is this map of the galaxy valid according to Stargate SG-1? In Stargate movie how did they manage to activate the gate in alien world Abydos? In Stargate, what has happened to the children in the pyramid? What were the production reasons behind S05E19 of “Stargate: Atlantis”? Which episodes did the Furlings sketch in the “200” episode of Stargate SG-1 pull stock footage from?